Complete orders placed by 3:00 PM (CST) Monday, April 22nd will leave our facility on Tuesday, April 23rd. Need a special invite for your next soiree? A memorable way to make an announcement? A unique giveaway at your next trade-show? Our 4.5 x 6 inch custom postcard puzzles are it! You get 16 puzzles for $48. Only $3 per puzzle! Upload your image and we print, press and ship your puzzle postcards out the next business day. Our staff reviews your image and, if needed, crop it to the correct dimensions for this puzzle. We print with durable, UV cured, waterproof inks. 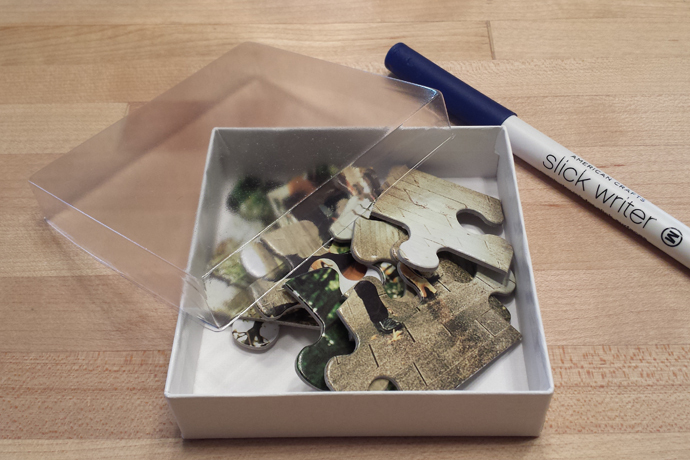 Your guests will receive a puzzle with a vibrant and sharp image. The puzzles are cut into 12 pieces that are each 1.5” x 1.5”. Select from two packaging options. The first is shipping a stack of assembled puzzles that you can then deliver to your guests as you desire. The second is prepackaged in individual gift boxes. 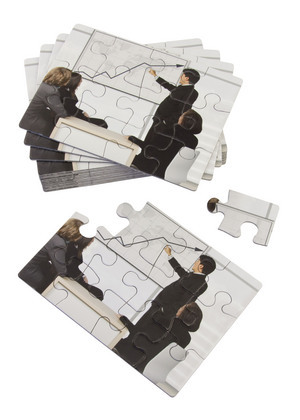 These custom photo jigsaw puzzles also make great promotional items for your business. Contact us for quantity pricing if your event or promotion requires over 250 puzzles. Expect the same quality in these custom postcard puzzles as you do with our largest puzzles. Puzzles made in the USA. You have reached the maximum number of uploads, please remove images that are not assigned to an order to upload additional images. Click here for instructions to learn how to rotate/crop your photo using the tools below. Otherwise, our trained professionals will size it for you, simply upload a photo and checkout. After cropping, click the Preview icon before clicking the Disk icon. This will save your change. Copyright © 2005-2019 Portrait Puzzles | Vision Design Group, Inc.